The name Edward Charles Doe may not mean much in the history of magic, but the name Al Koran most certainly does. He was born in Upper Clapton East London on March 4th 1917. As a 12 year old youth Eddie Doe watched street performer Pins Draper working in Petticoat Lane. He became hooked on magic and for helping Draper carry his bags and acting as a stooge, Draper taught Eddie a few simple tricks and basic sleight of hand. This was Koran’s introduction to sleight of hand for which he became well known around London before developing his interest in mentalism. He became a men’s hairdresser of note yet the urge to perform professionally grew ever stronger. During the Second World War he served as a Paratrooper but was shot down three times and spent long periods in hospital. It was not till 1947 that he developed a stand-up act that was to become a sought after cabaret act in local clubs and on the hotel circuit. Al Koran was not the greatest inventor of magic tricks but was able to adapt and alter the handling and presentation of magical effects and routines, so that they became imbued with his own style and personality. In his early performing years he included music and song into his magic that was novel and different. 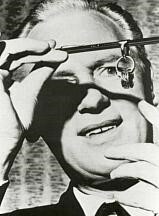 He became one of the few magicians who could easily incorporate magic and mind reading into his shows. As a result of his war injures Al Koran had a speech impediment and stuttered. However he was such a diligent magician he always practiced long and hard and never presented an effect until it was thoroughly rehearsed. Once he had his patter and presentation down pat, his speech was fine except perhaps when a loud heckler confronted him. His linking Finger Rings became a classic magic trick, as did his Torn and Restored Cigarette Paper that he could perform before an audience of thousands. Koran’s original Ring Flight creation has become a standard with numerous magicians today. 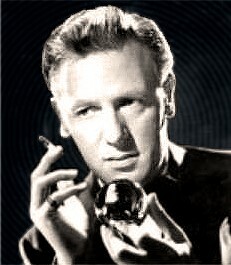 For many years he was associated with Harry Stanley’s Unique Studio of Magic 14 Frith Street in London, an address synonymous with magicians worldwide. Harry encouraged Al to write up many of his own routines as used in his act that became available via the Unique Studio. At the same period Al Koran began to contribute his magical ideas and routines to a number of exclusive magic magazines and journals like, The Magic Wand, The Gen, The Wizard, Pentagram and the popular English weekly Abracadabra. He became sought after for his clever ideas and methods using sleight of hand. He began to influence many of the prominent performers of the day who sought his knowledge and wisdom. Although a clever magician, he lacked the ability to put his ideas in writing that was understandable, so relied on people like Harry Stanley, Lewis Ganson and Ken De Courcy. Despite this it revealed that Koran was full of new, clever practical material. 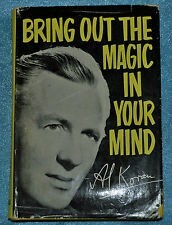 In 1949 in his column in the Wizard Magazine, Jack Lamonte wrote, “Star spot this month is for that super sleight – of – handster, musical magician and star mentalist AL KORAN”. Around this time he developed a hand infection and found it difficult to perform his normal manipulations. He had an important show booked for the DeHaviland Aircraft Company he didn’t want to lose. Having been dabbling with mentalism he put together an act he could manage with his infected hands. He received a standing ovation and realised that he had now found his true vocation and from then on he specialised in mentalism. In 1950 he and his wife Kay auditioned with the BBC television that at the start was not successful, then four years later 1954 he made his first appearance on British television. He did a 5 minute spot on “Quite Contrary”, for the princely fee of 20 guineas (twenty one pounds) in those days magicians were always paid in guineas. A few years later while working under Harry Dawson a theatrical impresario he was earning 35 guineas. He shortly after joined up with Norman McCann a big name theatre music agent who groomed Koran for stardom sending him all over the British Isles. His fame began to rise when he was booked at the famous Savoy Hotel for a stint. Then in 1960 he began his television debut that ended up going right through the 60’s. At last he had become a ‘star’. He was the perfect gentleman performer always impeccably dressed and with his presentation of mind reading many came to believe that Al Koran may indeed have Extra Sensory Perception. Anyone who read his book, ‘Bring out the Magic of your Mind’ would indeed think so. The book suggests that we all have that inner capability to excel in any endeavour we choose provided we learn to utilise our mind power. While performing in England he appeared many times at Royal Command Performances and at Buckingham Palace while Princes Grace of Monaco called upon his expertise and entertainment talents for her many fund raising functions. When a performer reaches this stage it often attracts many of the socially elite and nobility that gives a respectable performer a very sociable acceptable group of friends. He became well known for his many headline predictions for famous horse races and predicting the results of local elections or major social events. The one real lesson I personally learnt from just reading Al Koran’s description was his Torn Centre or otherwise known as the Centre Tear and would go so far as to state that this small effect became my most effective routine that is as close to real mind reading as you can get. Koran was famous for his Golden Medallion where an inscription of a set of numbers given by audience members appear ‘’engraved “on a golden medallion inside a small sealed box. I learnt to do the routine using a silver medallion that became special for me just as his novel “Jackpot Coins” did. Here a spectator takes a handful of coins from a bowl and while holding them tightly, the performer is able to state exactly how much money the person is holding. Al Koran’s card magic in later years relied on subtlety rather than sleight of hand and he would use a simplified method to do something miraculous that very often even fooled watching magicians. He had the ability to present playing card magic normally reserved for close up, on stage making a feature out of his presentation. His Word in Thousands book test is clever, subtle and a baffling feat of mind reading. Any word and I repeat any word at all is freely chosen by a spectator is then revealed by the performer that stuns any audience. Listening to Al’s audio performance tapes, his diction and presentation is always crystal clear and concise. In 1969, Al Koran relocated to America where he felt there would be more scope for his mind reading act. After a cruise ship engagement to the Caribbean he became ill and there after his health deteriorated. He put on a brave fight but eventually he lost the struggle with cancer and passed away on June 12th 1972. He did manage to appear on the Ed Sullivan Show regularly before his demise. Al Koran has left a fine legacy to magicians and mentalists and he was certainly the most influential performer I ever read about. I did see a few of his television shows but never had the privilege of meeting him. American mentalist Craig Karge’s once said of Koran, “He was a highly creative romancer, able to fabricate a story about himself and then string it out to see how far he could go with it”. I would tend to say that was just good showmanship on his part. One story Al did concoct was that he was the son of the notorious spirit medium Helen Duncan who was born in Scotland in 1895. This notorious psychic fraud was tested by another fraudulent psychic investigator Harry Price at the London Psychic Centre in the early 1930’s. However there is no way that Al Koran could have been the son of Helen Duncan, but he thrived on a good romantic story and obviously his many admirers did as well.